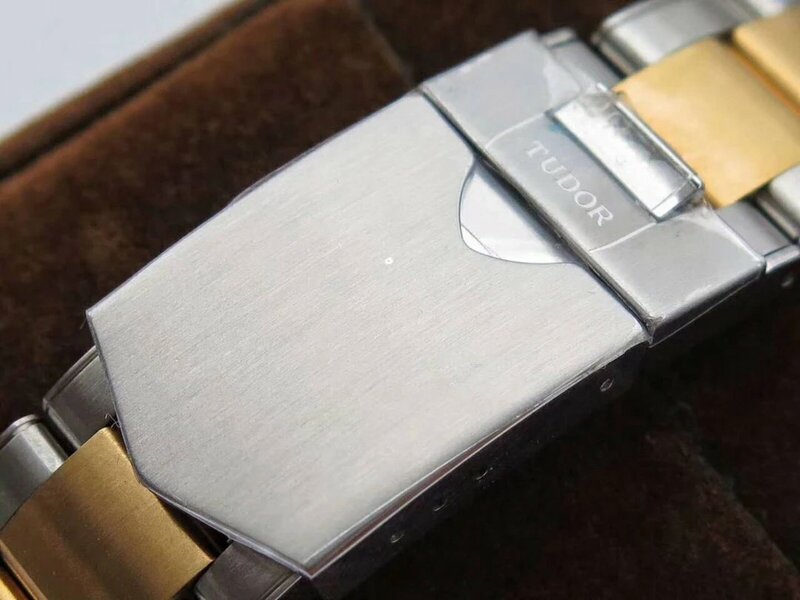 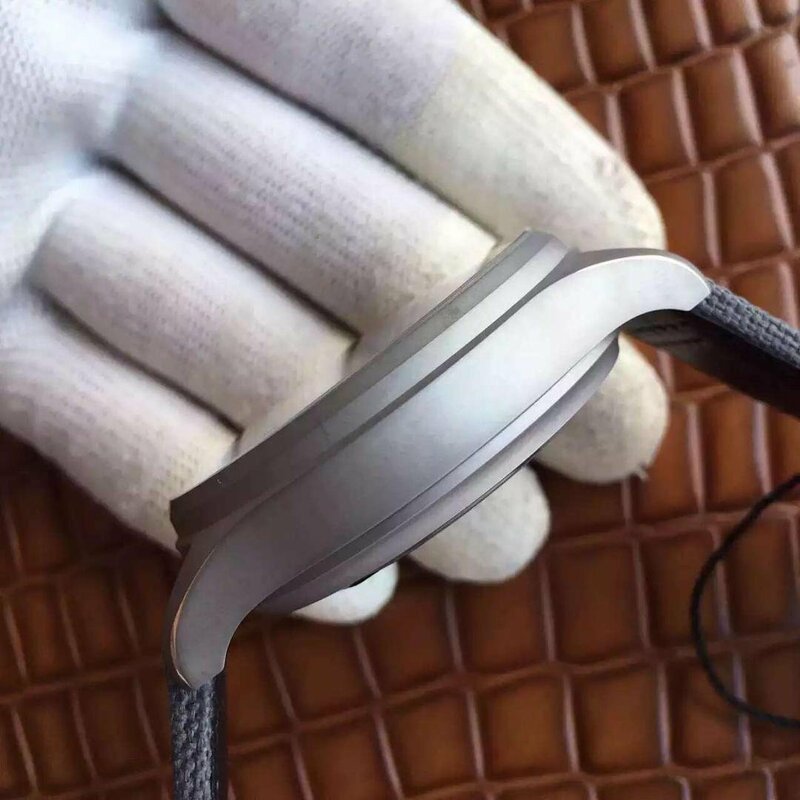 During this sensitive period, it will take a little longer for all factories to release their stocks, sometimes it needed three or four days for us to get your ordered watches from the factory. 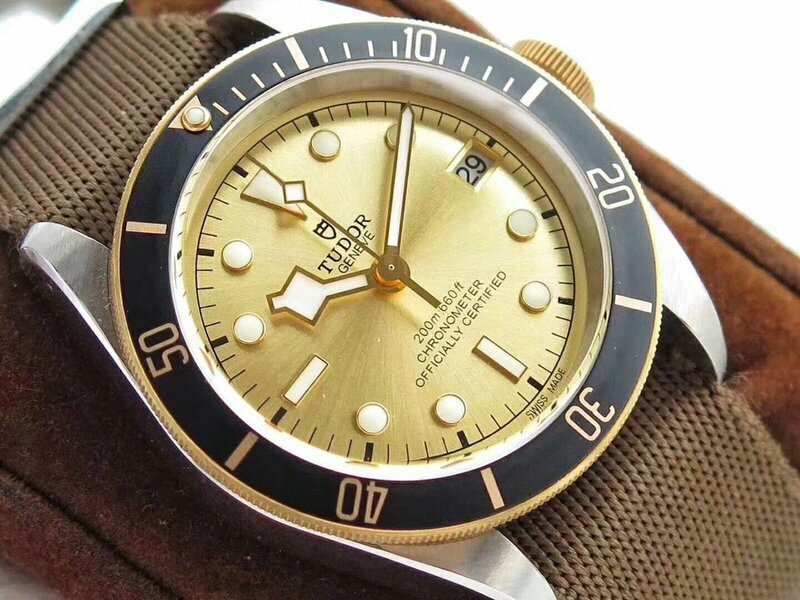 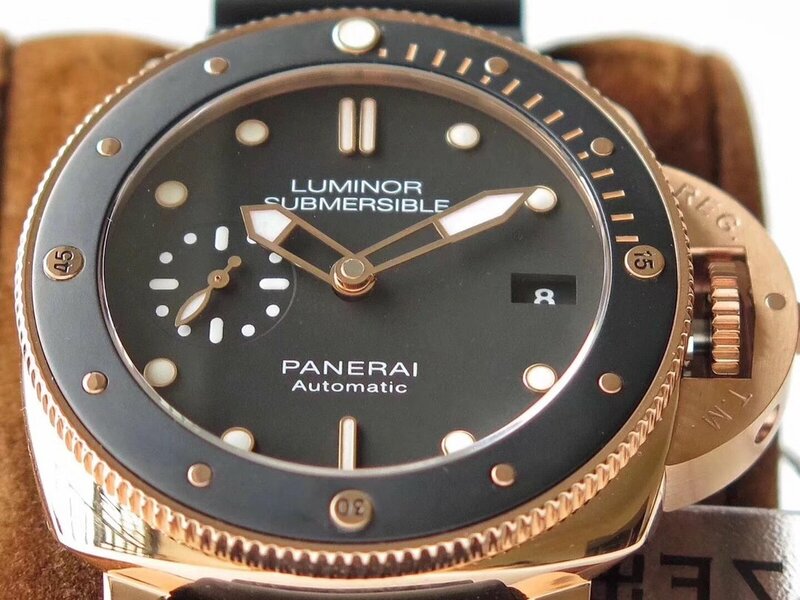 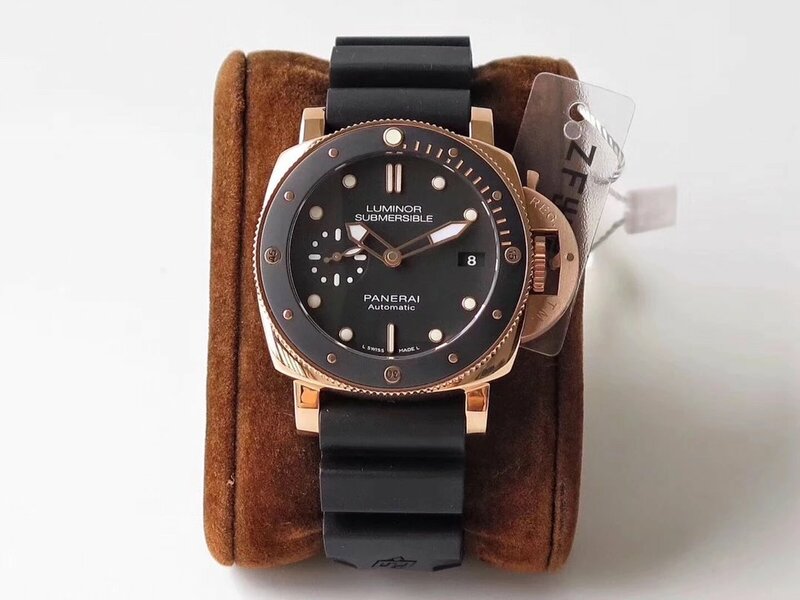 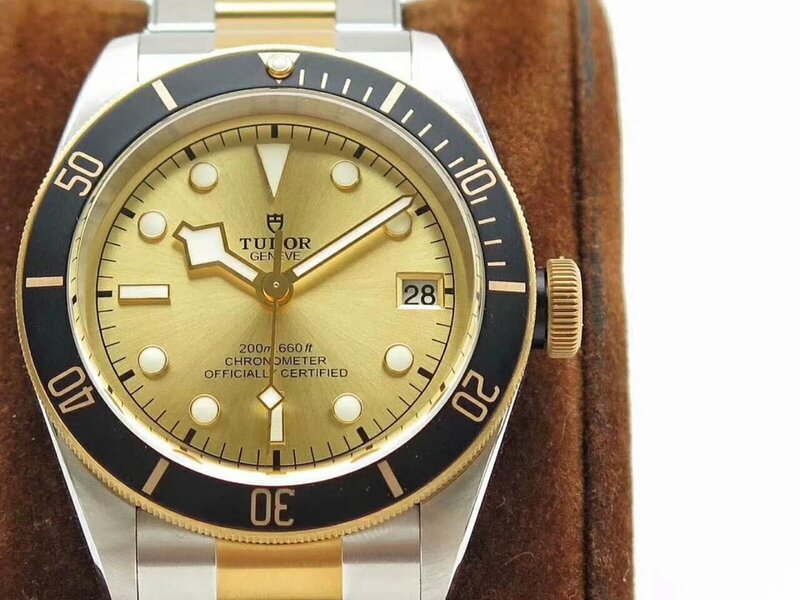 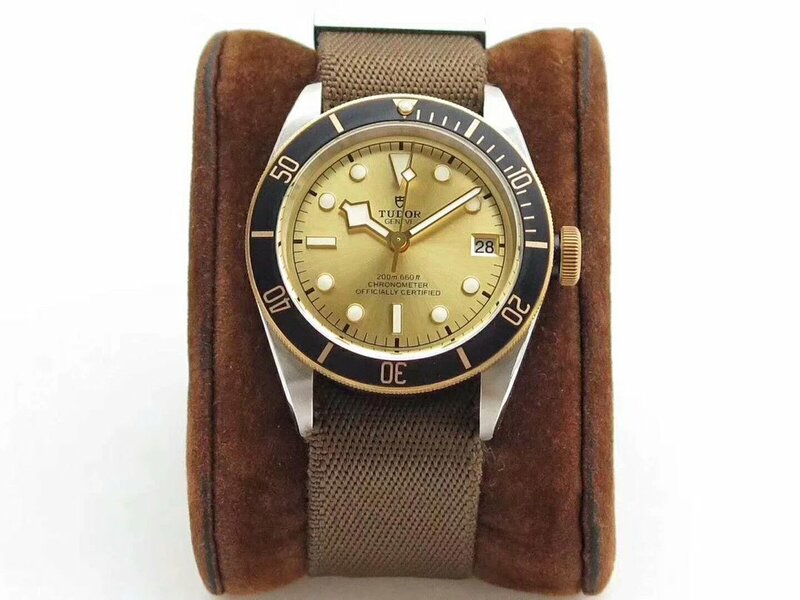 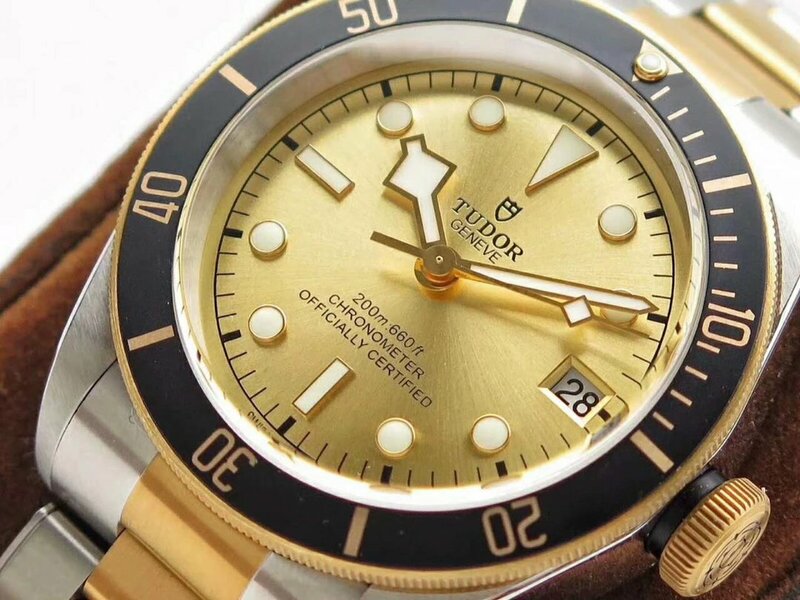 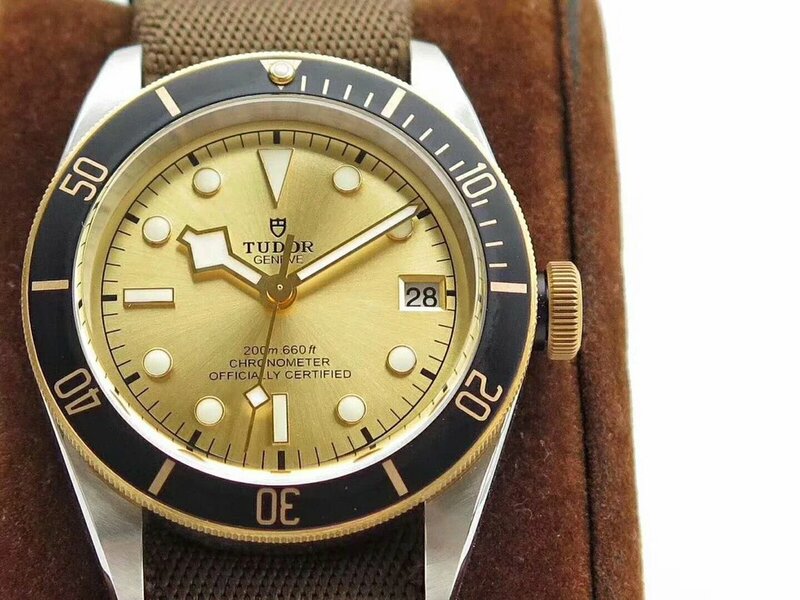 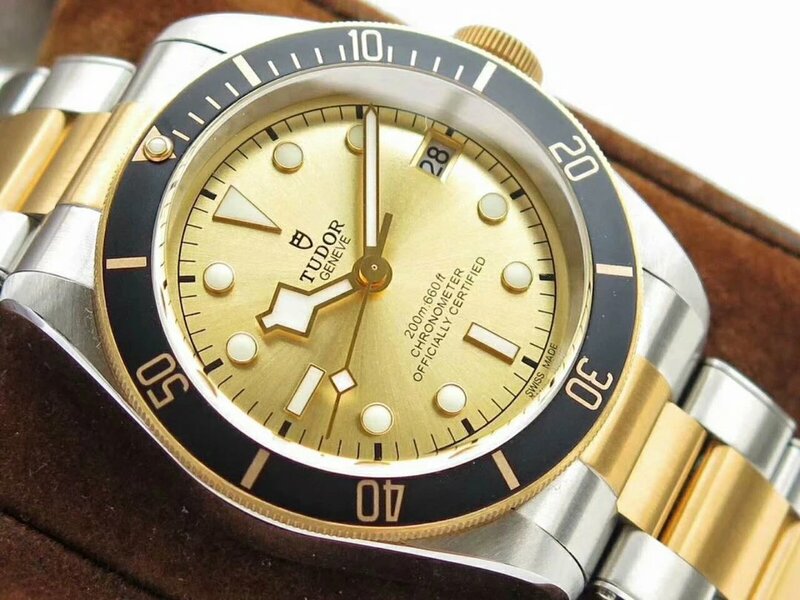 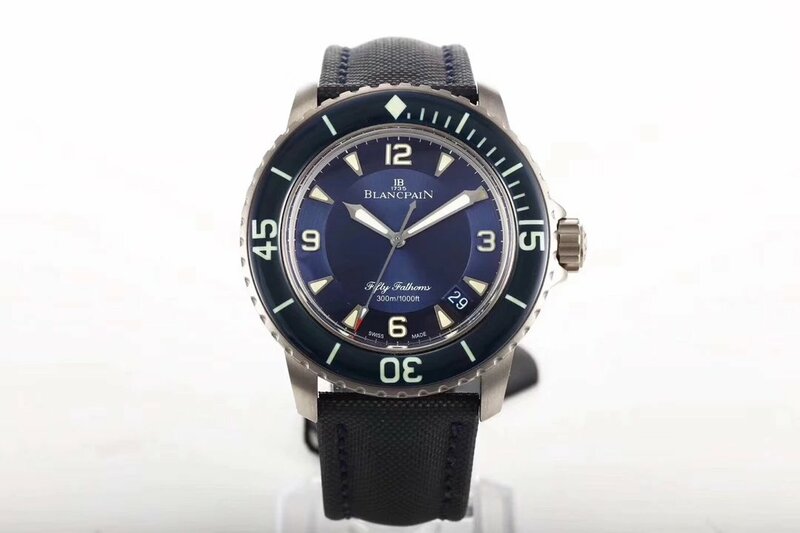 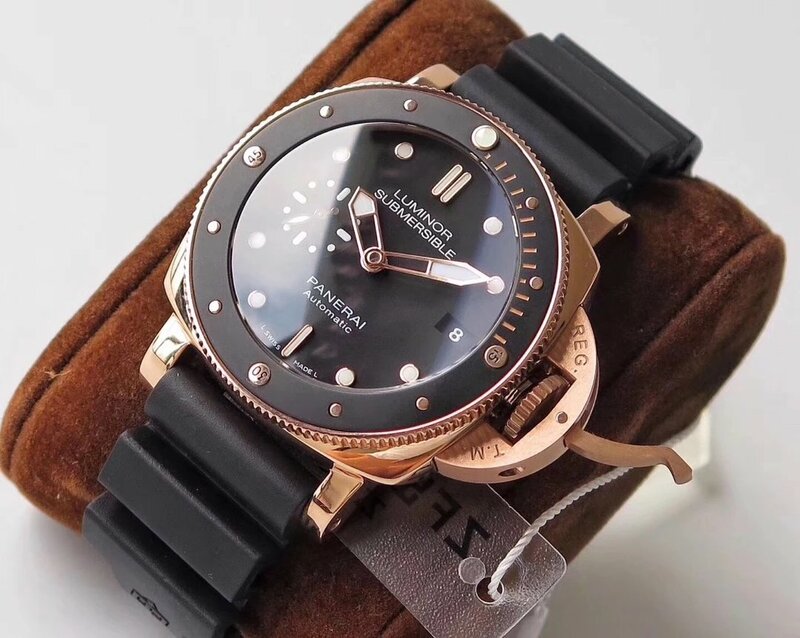 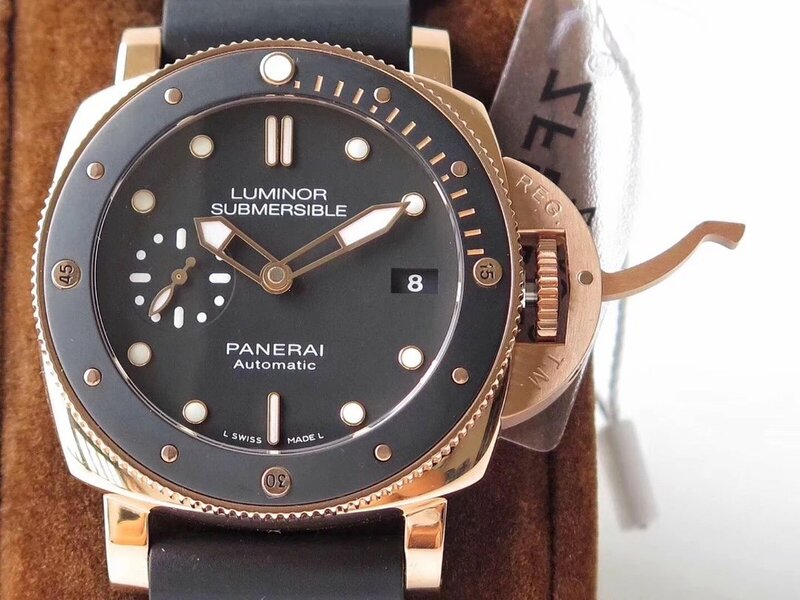 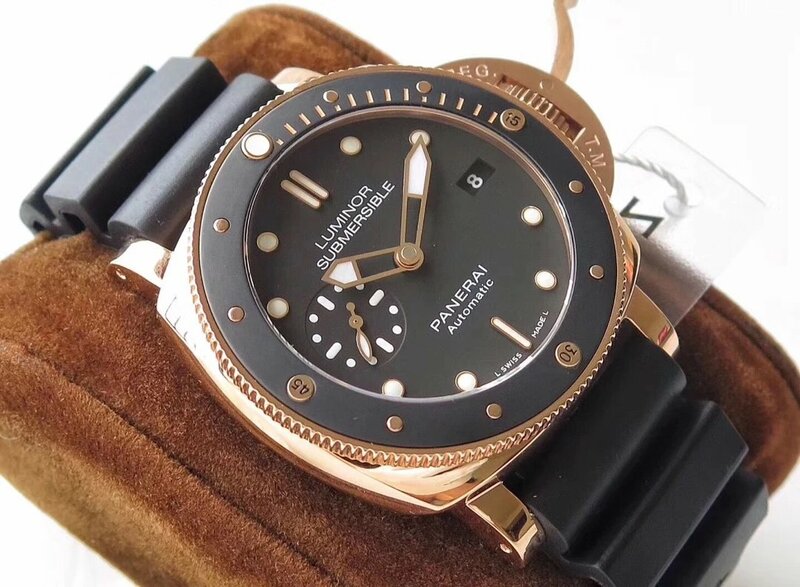 However, high quality replica watch is always worth your time to wait, purchasing the best replica watch from a big factory will not regret in future, if you buy a replica from an unknown manufacturer, then soon you will start to complain its bad quality. 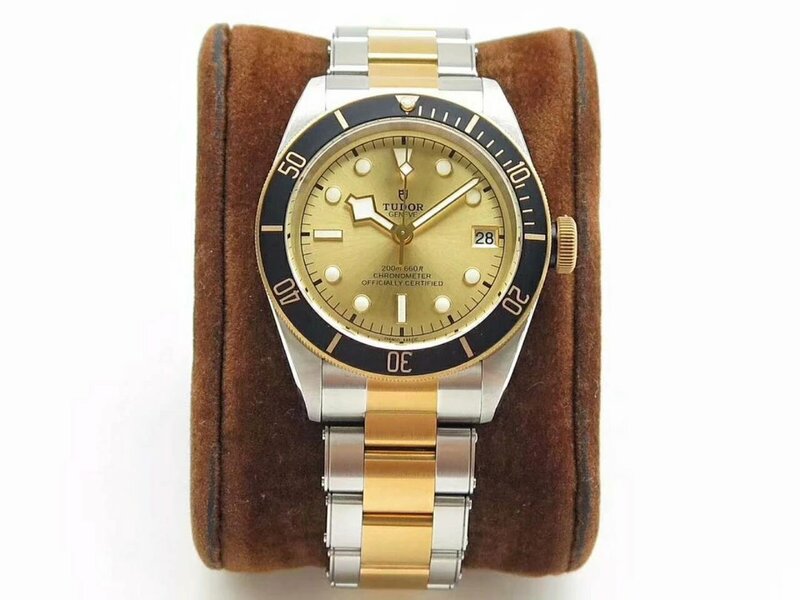 So, it is very important to buy your first replica watch from a famous watch manufacturer, their watch quality could be guaranteed. 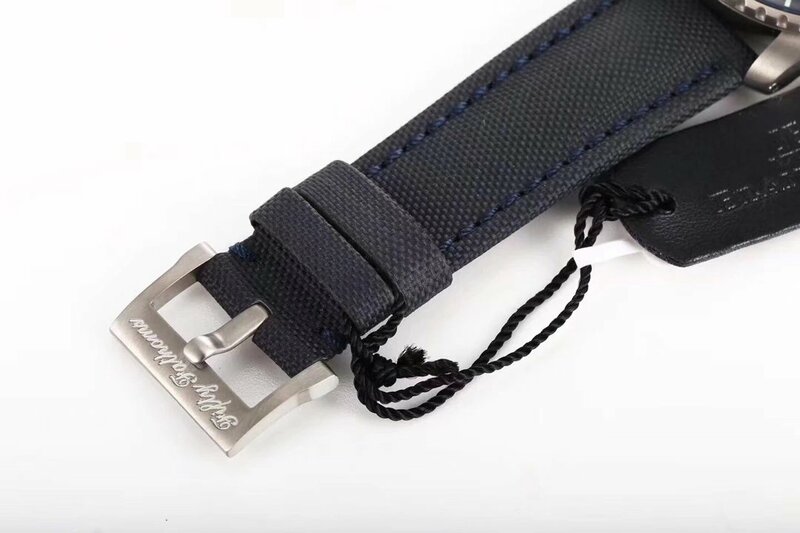 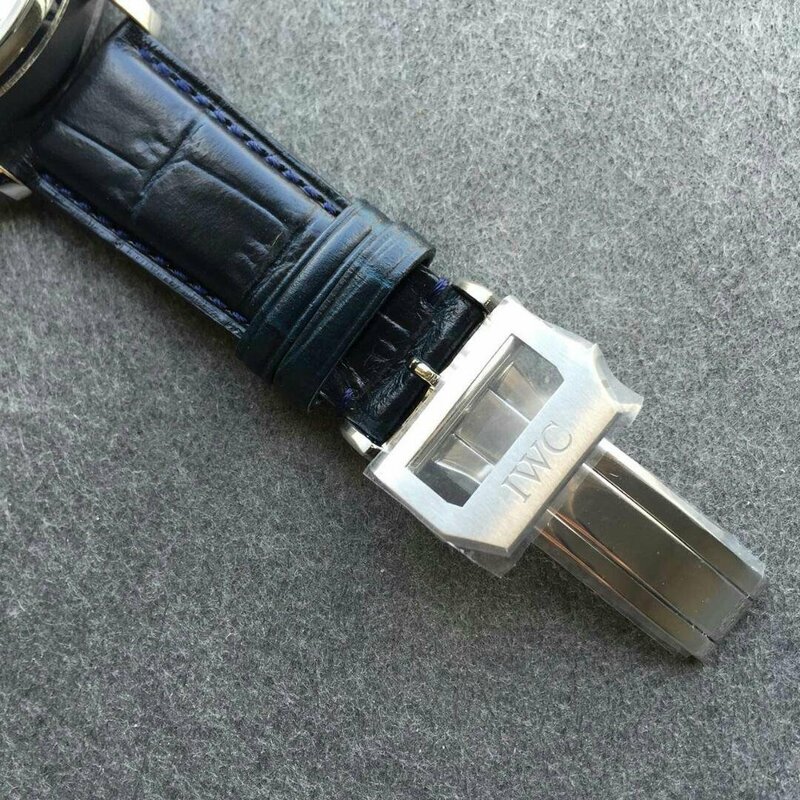 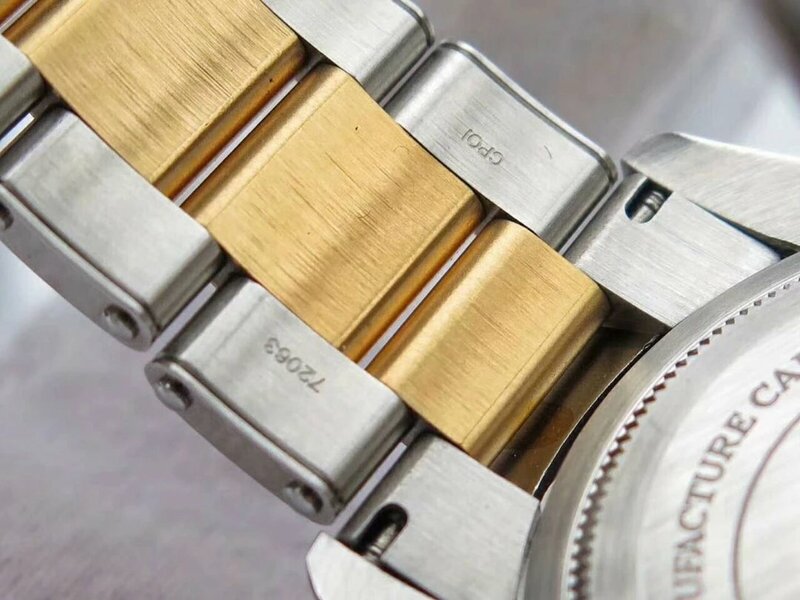 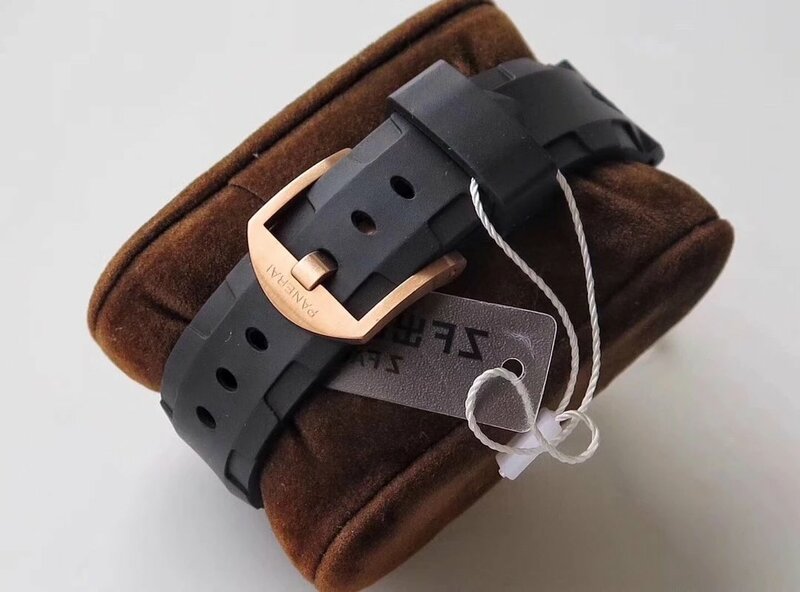 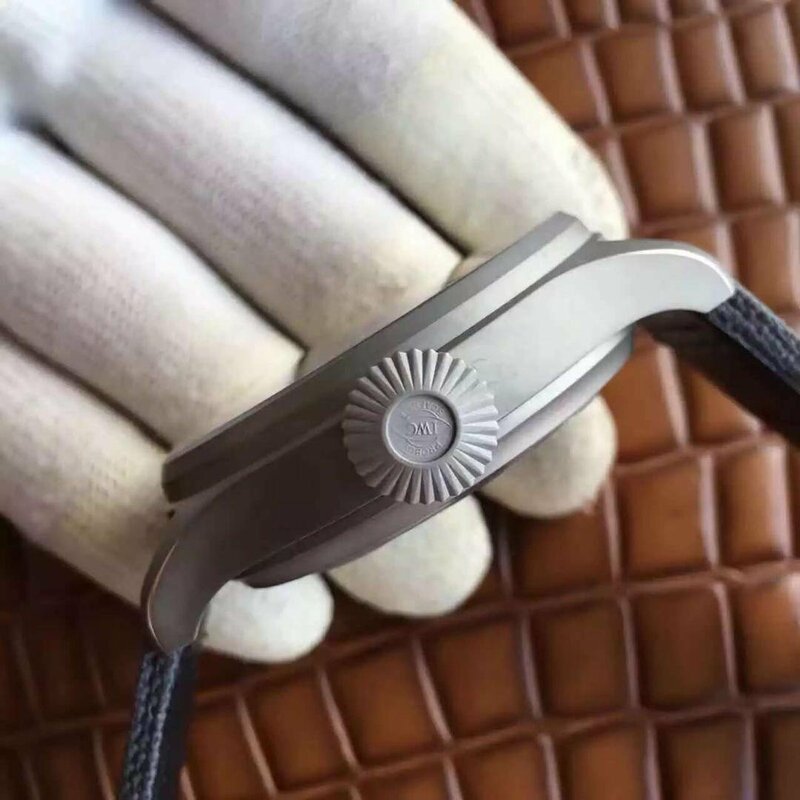 Z factory, which is also known as ZF, has been popular for almost five years in replica watch industry, the replica watches produced by ZF cover a lot of Swiss brands such as IWC, Panerai, Breitling, etc. 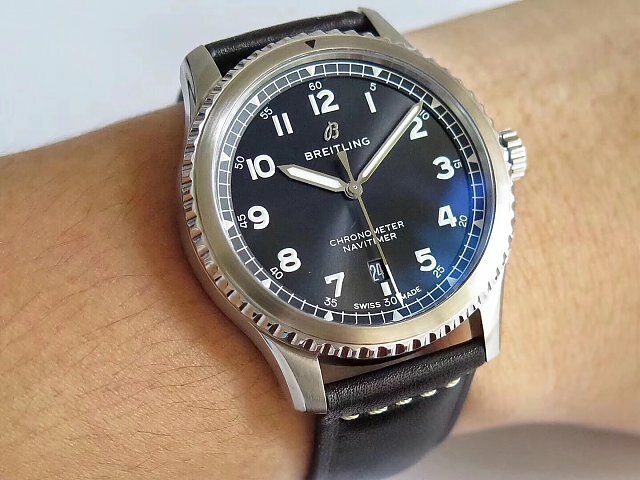 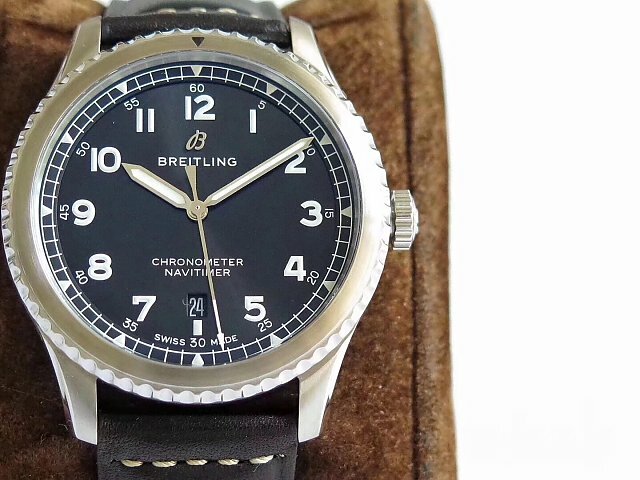 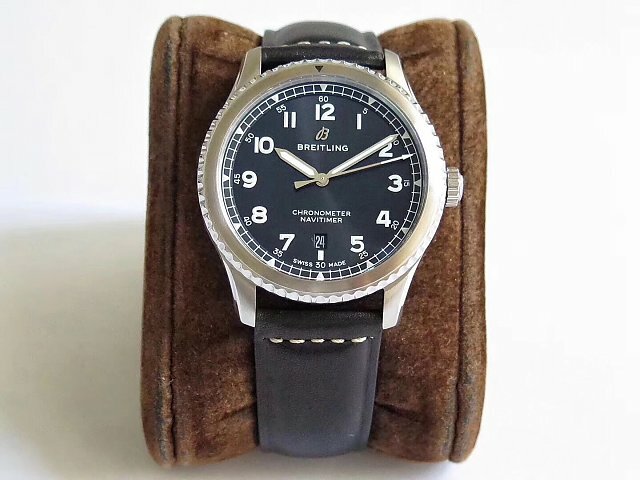 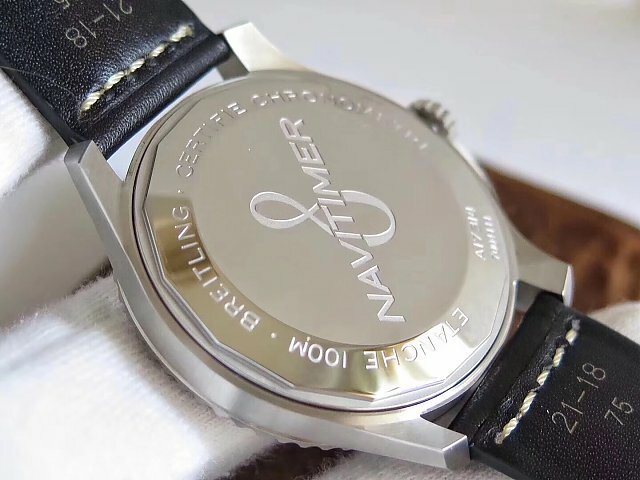 Today, this new Breitling Navitimer 8 replica watch is also made by ZF, one of my clients asked me about this watch, but it was not replicated at that time, now, this watch finally has a good replica, hope he can read this article and got some ideas. 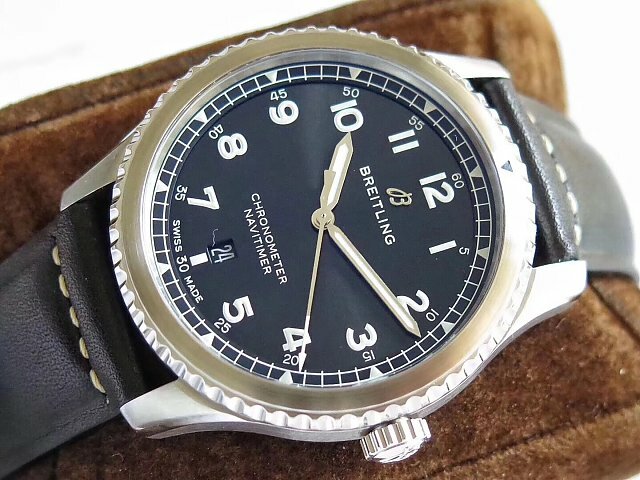 The Breitling Navitimer 8 replica has a clean and simple design. 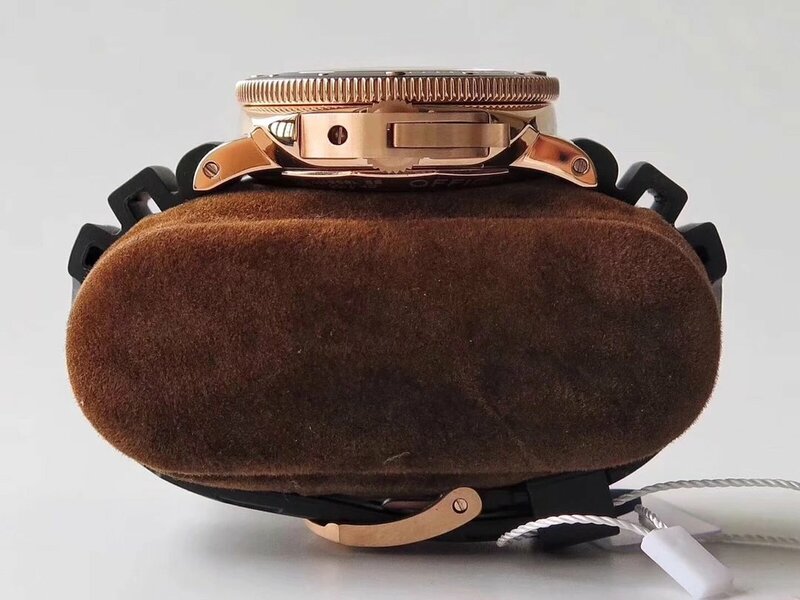 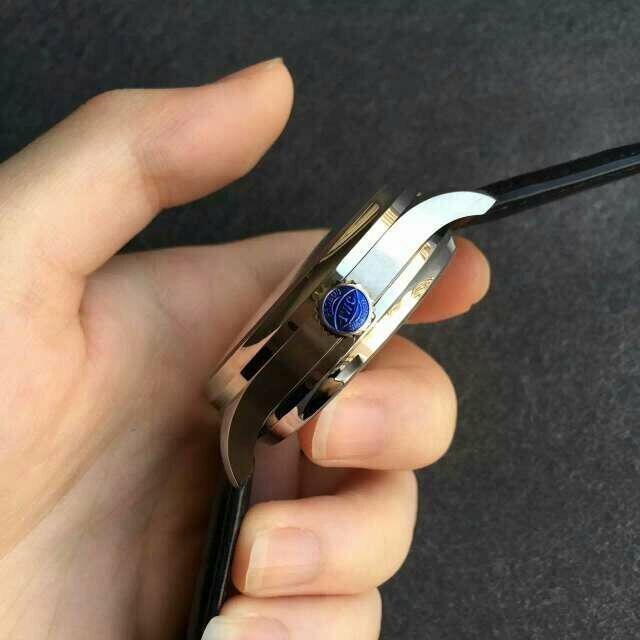 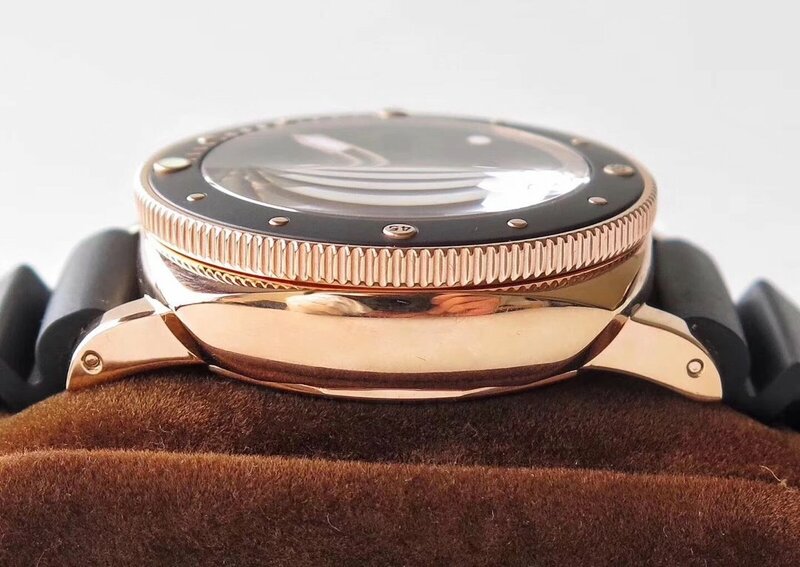 The case is 41mm in diameter and 11mm thick, it is brushed, four lugs are curved and perfectly extended from the case body, they are mixed into one piece. 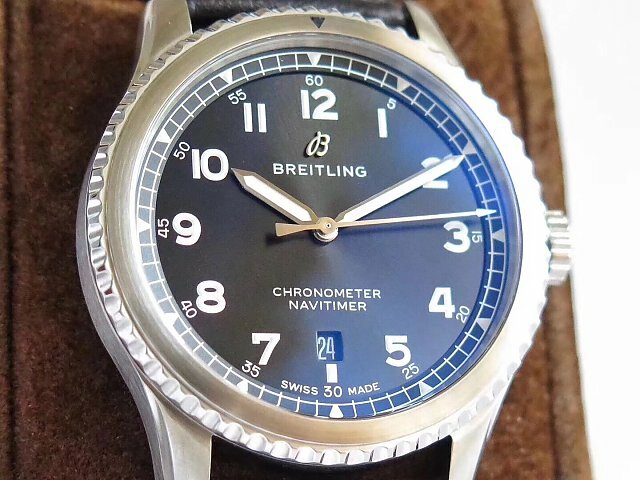 Bezel is bi-directional rotating, I do not know why Breitling uses such a rotating bezel on this Navitimer 8, does it have special usage? 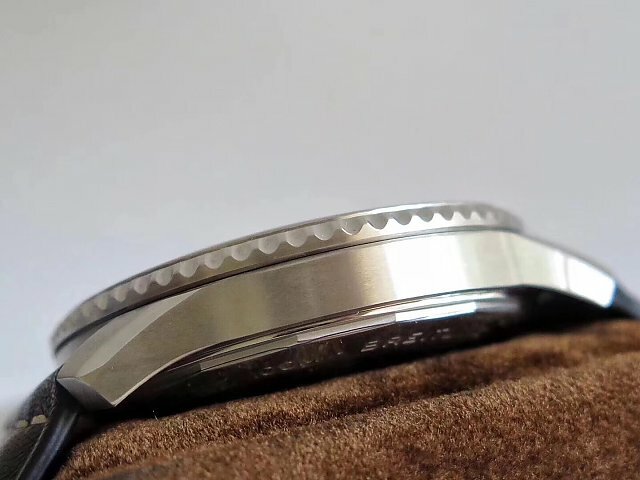 Case back is solid and has fine engravings, on the center, the NAVITIMERand big 8 are matt finished in satin background. 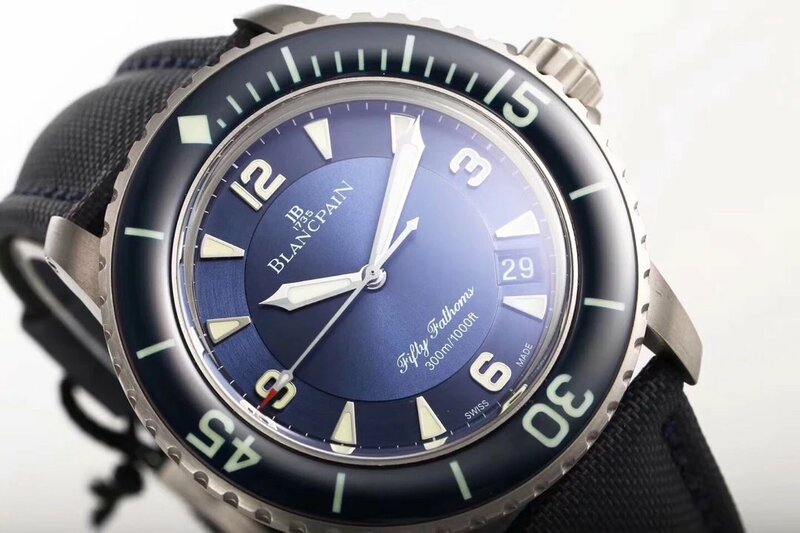 Dial is black, it has a super green lume on hour markers and hands. 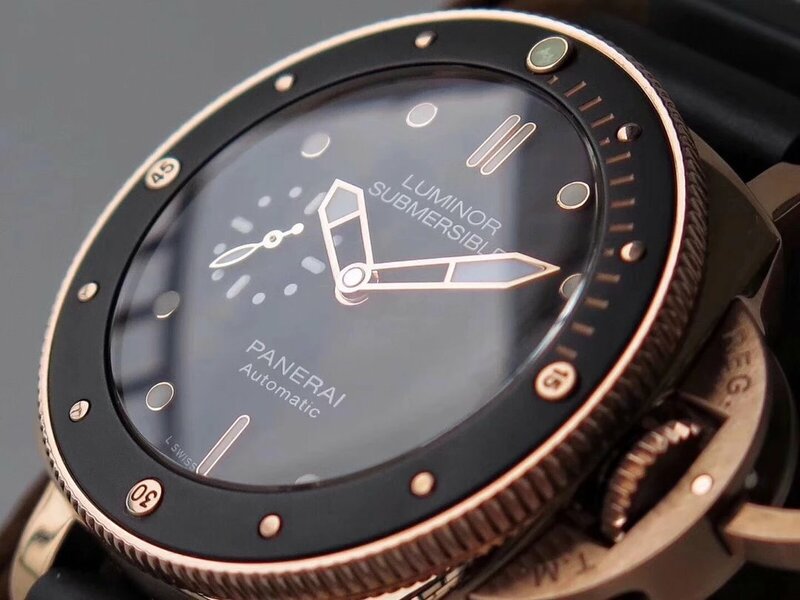 The watch is not made for diving usage, but it has a great dial lume. 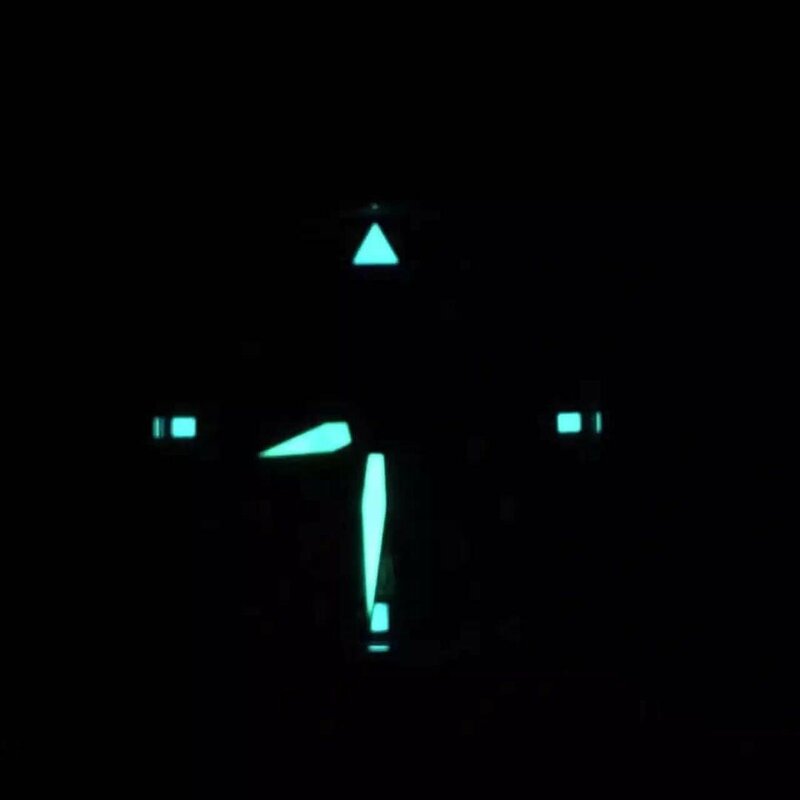 On the track of minute scales, there is a triangle mark on every five minutes, these triangle marks are also luminous in the dark. 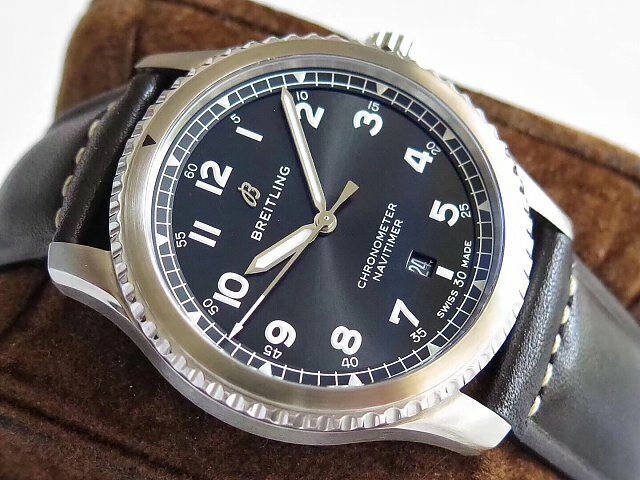 In a word, Breitling Navitimer 8 is not a diver’s watch, but has a stronger dial lume than those diving watches. 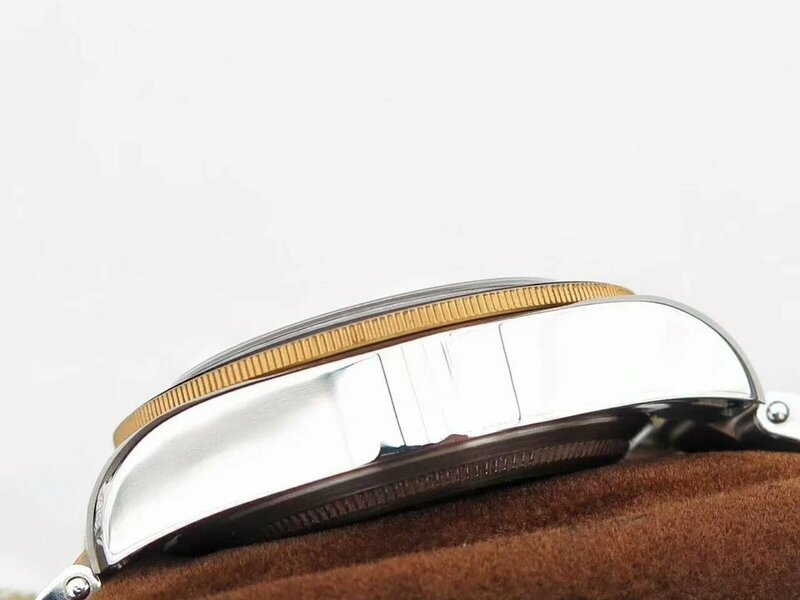 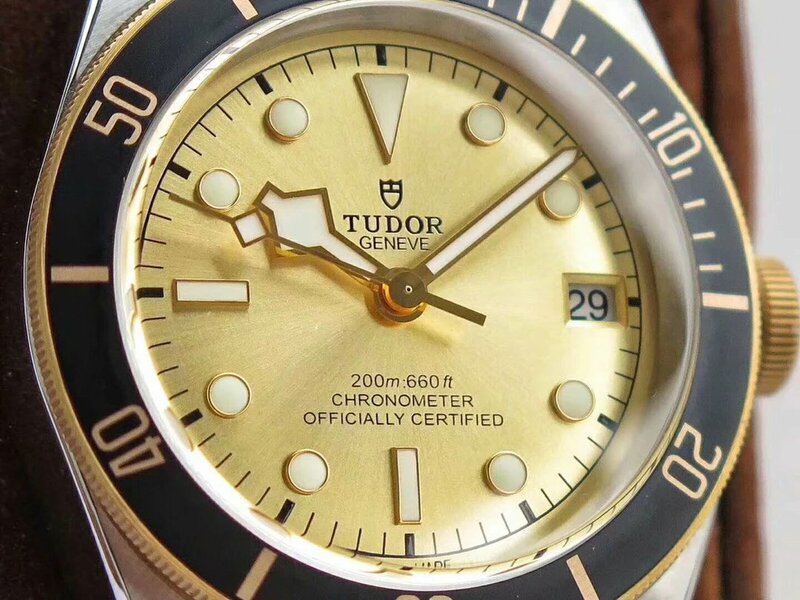 The dial does not have any other details except a date window set at 6 o’clock, the date in white font and could be easily read. 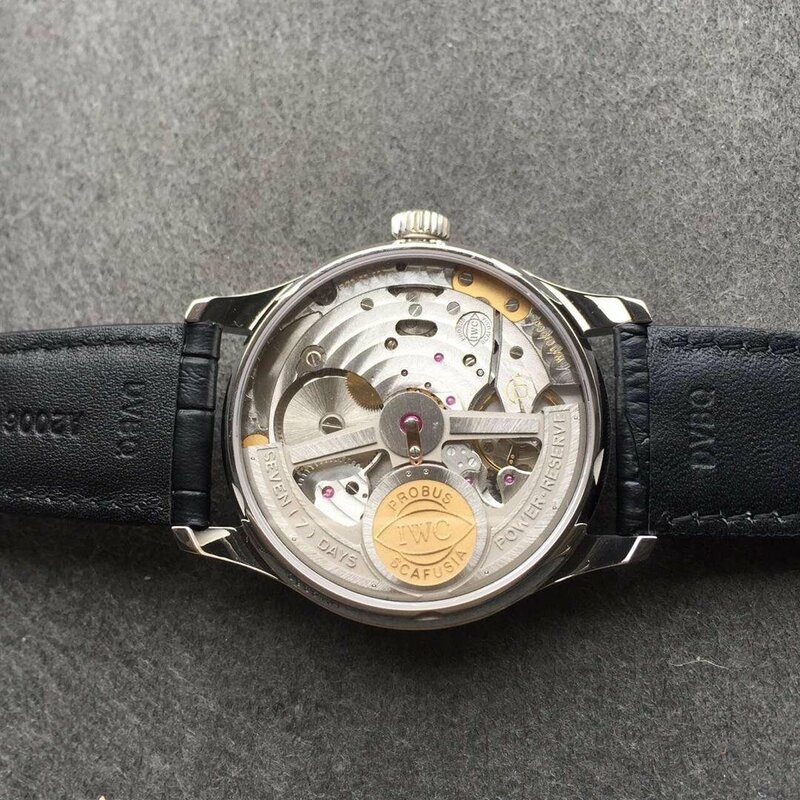 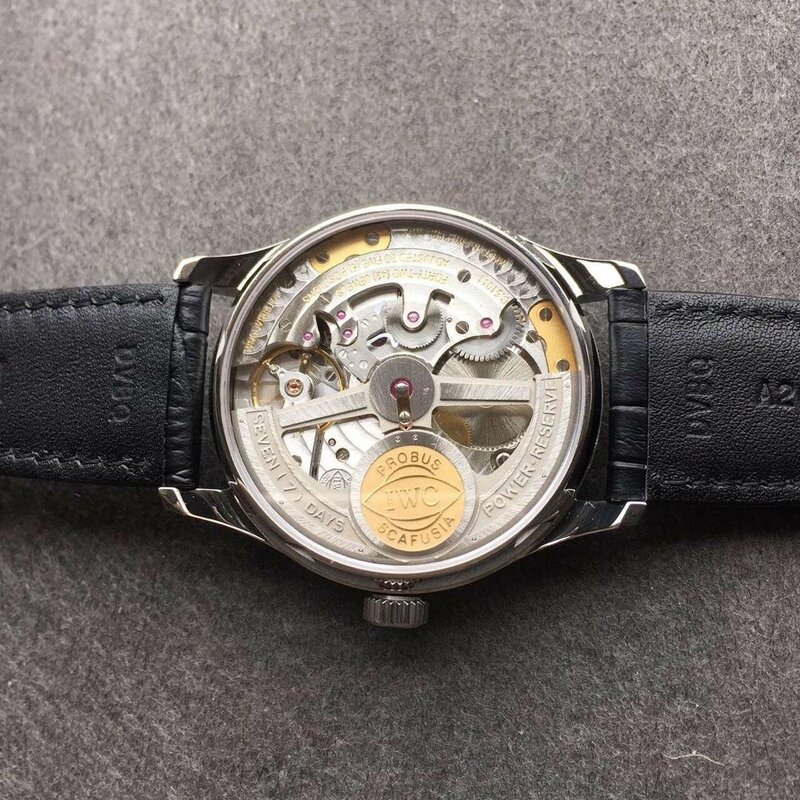 Inside the replica, there is an Asian clone ETA 2824 automatic movement, which has a high accuracy and stability. 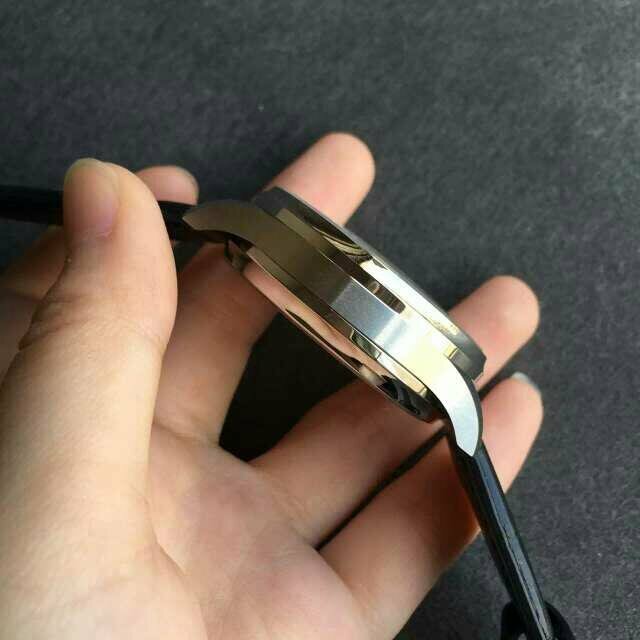 You do not need to do inaccuracy adjustment, the movement can maintain a good accuracy for a long time. 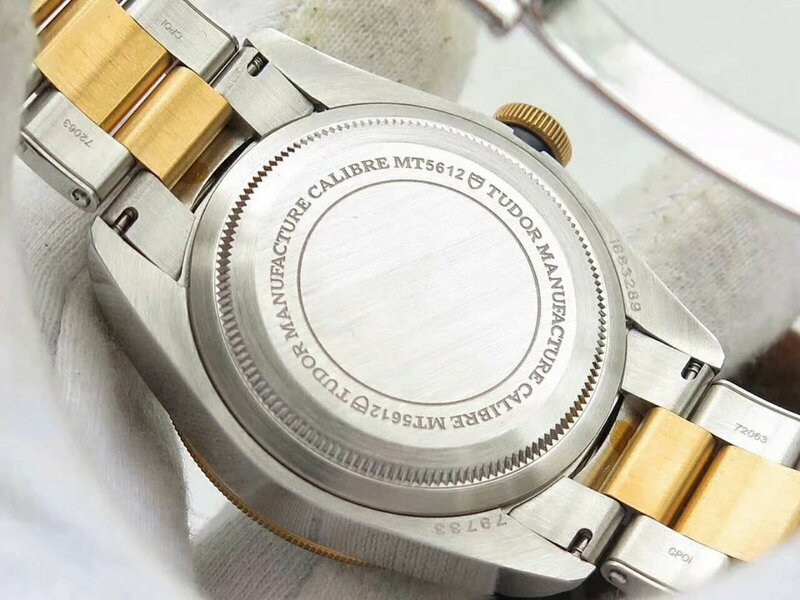 Even compared with those super clone 3135 or any other modified clone calibers, this ETA 2824 has its own big advantage. 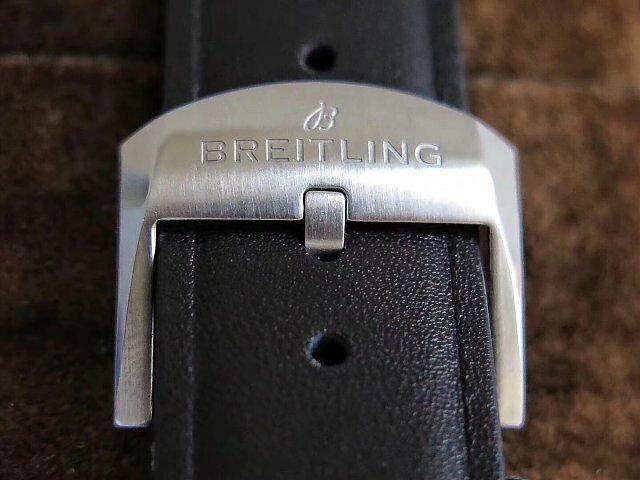 The Breitling Navitimer 8 replica is fitted one pair of black leather strap, which has a brushed pin buckle on. 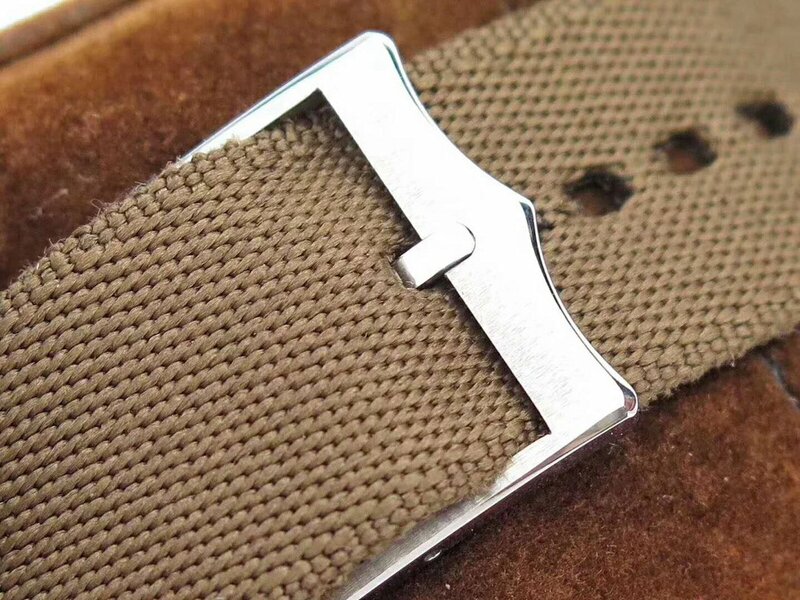 The buckle has delicate engravings on both front and back side. 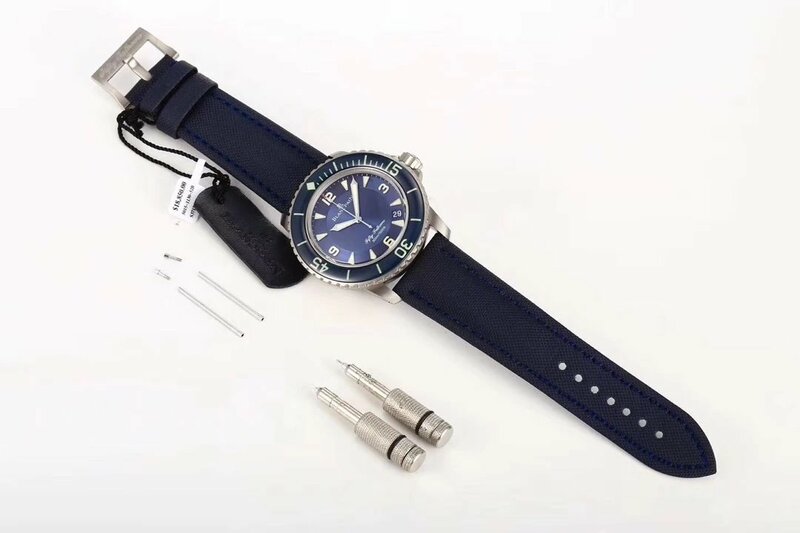 By the way, the replica is tested to be 30mm waterproof, you can wear the watch while swimming, but I do not recommend you do this. 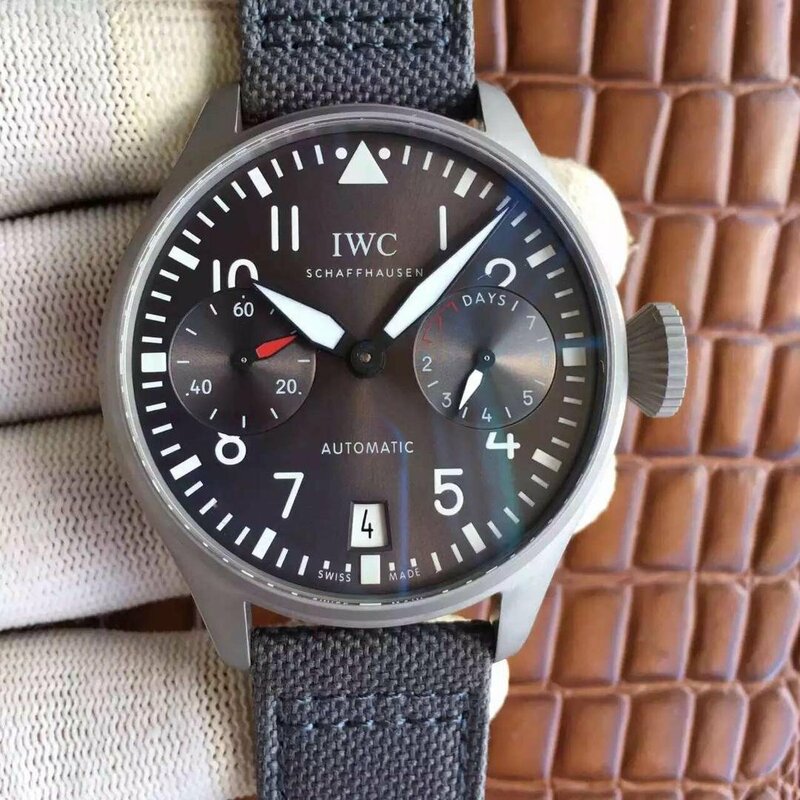 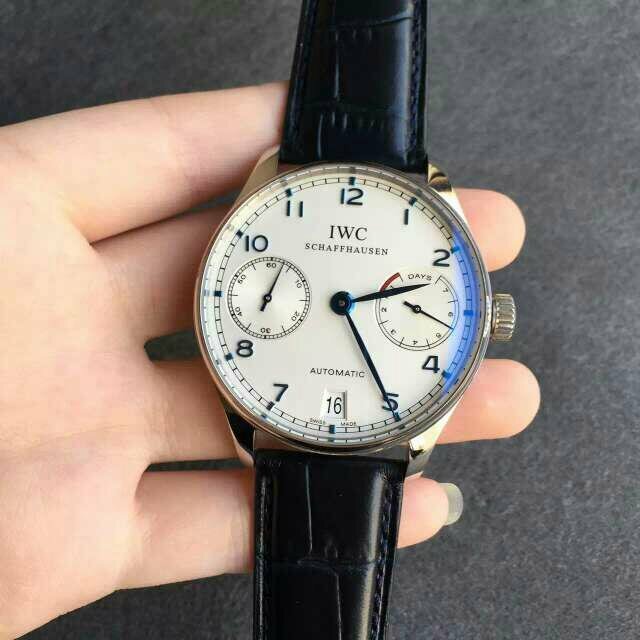 I originally do not want to introduce this watch, because I have done a review of this replica IWC Portuguese 7 Days Power Reserve here, however, it is one of the best-selling dress watches and there are a lot of factory manufacturing it, there are also a lot of good versions, many factories have continuously upgraded the features of this watch, so I decided to give a review of it again, the one I will talk here is made by Z factory, it is currently the best version. 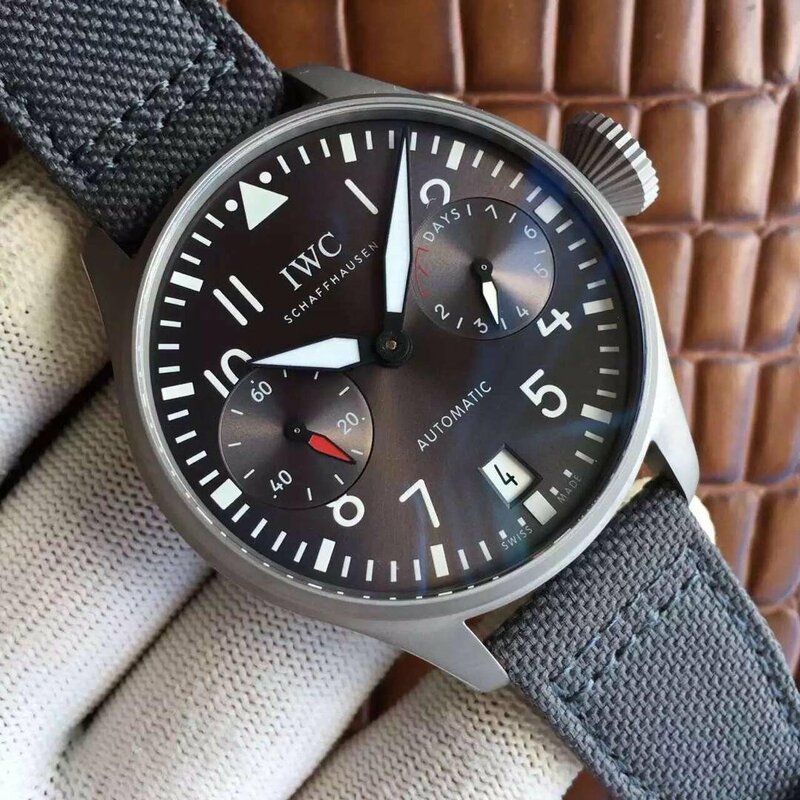 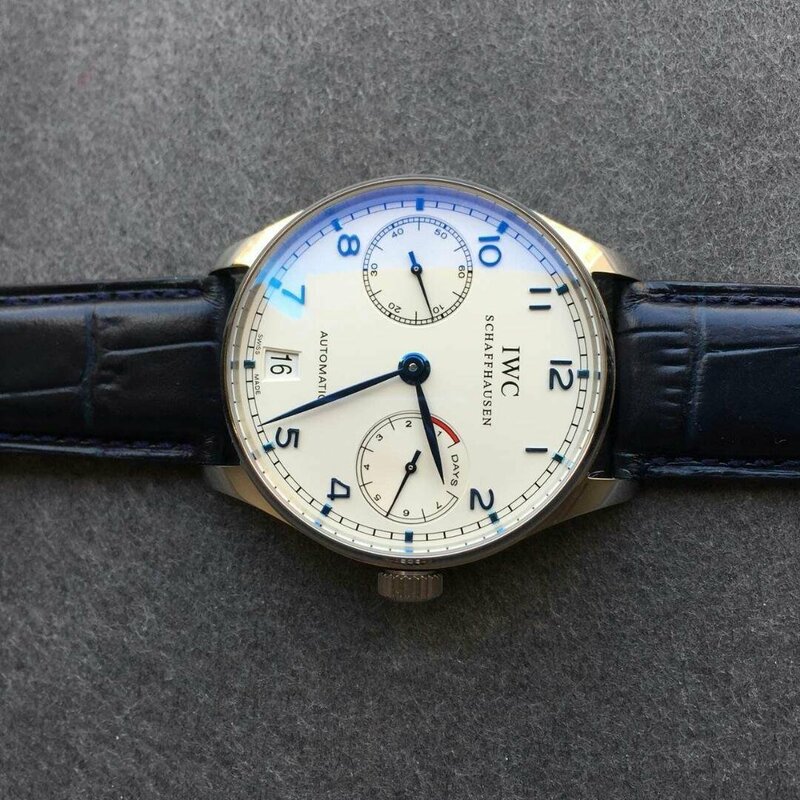 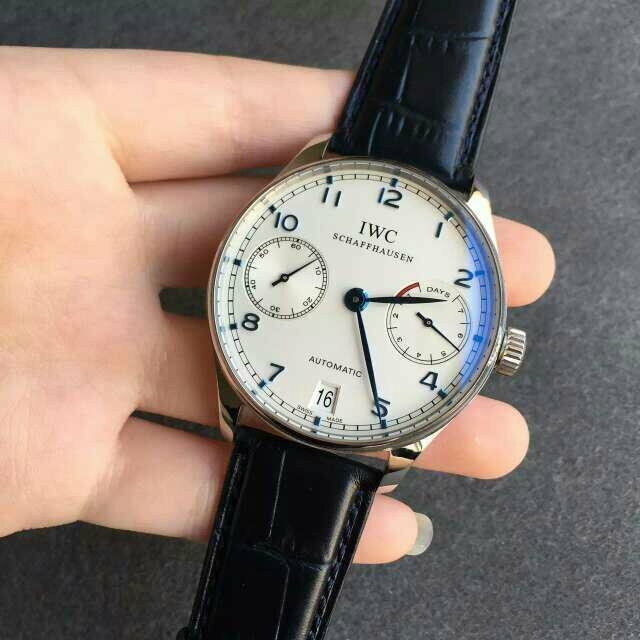 Actually the first replica watch I sold out is an IWC Portuguese 7 Days Power Reserve white dial with blue hands, however, the previous replicas of this watch do not have real power reserve function, the small second is fixed, until Z factory released this one that owns a working power reserve indicator. 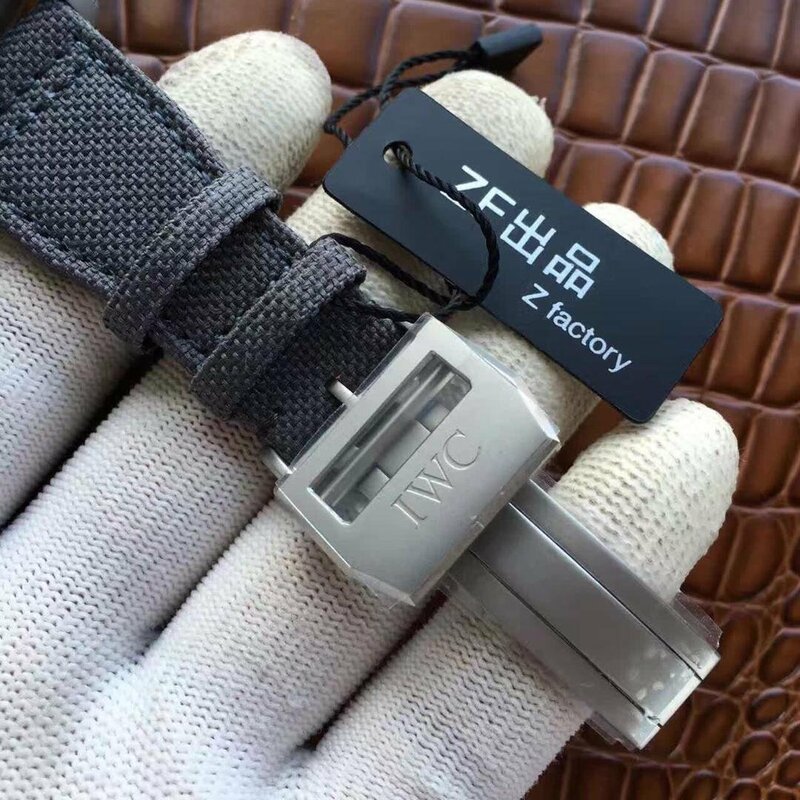 Here I will give a basic review of this replica and tell you the two biggest improvement Z factory has made on the watch. 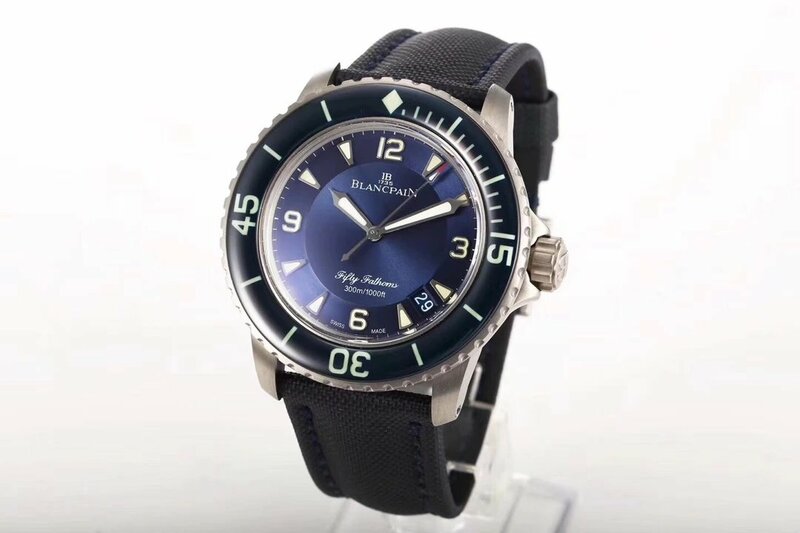 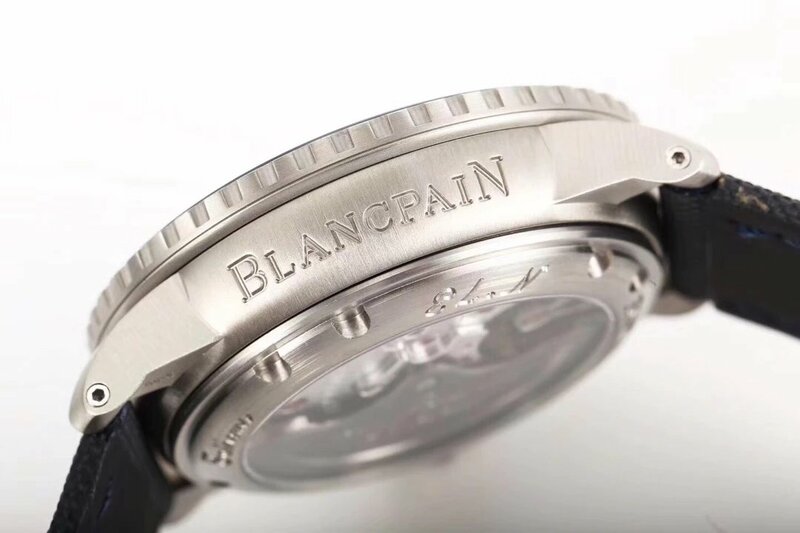 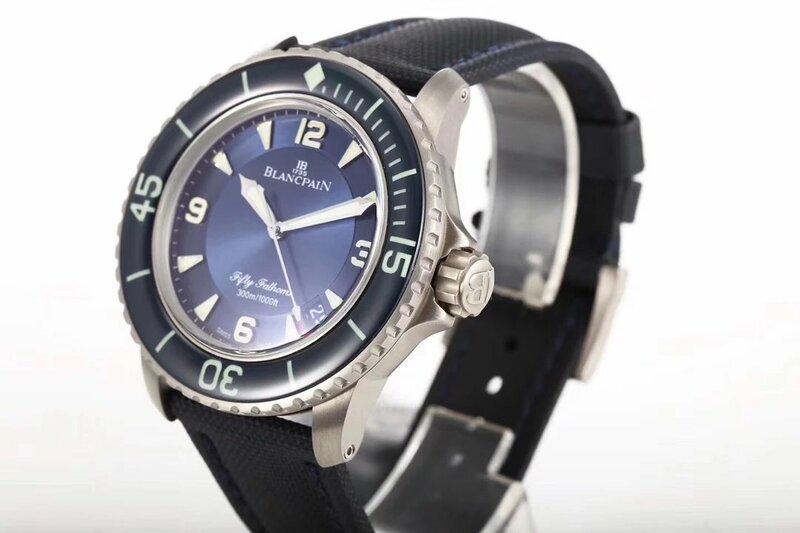 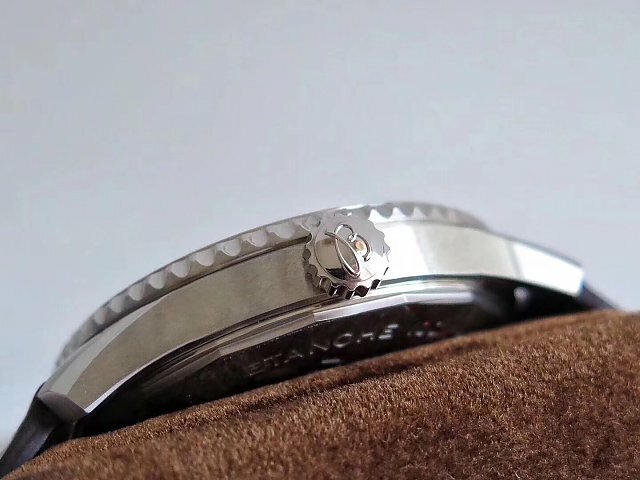 The case is 42mm in diameter, the round polished bezel is my favorite style, the bezel makes the dial look larger than it should be, so every detail on the dial is very clear and the wearer can get exact time just with a glance. 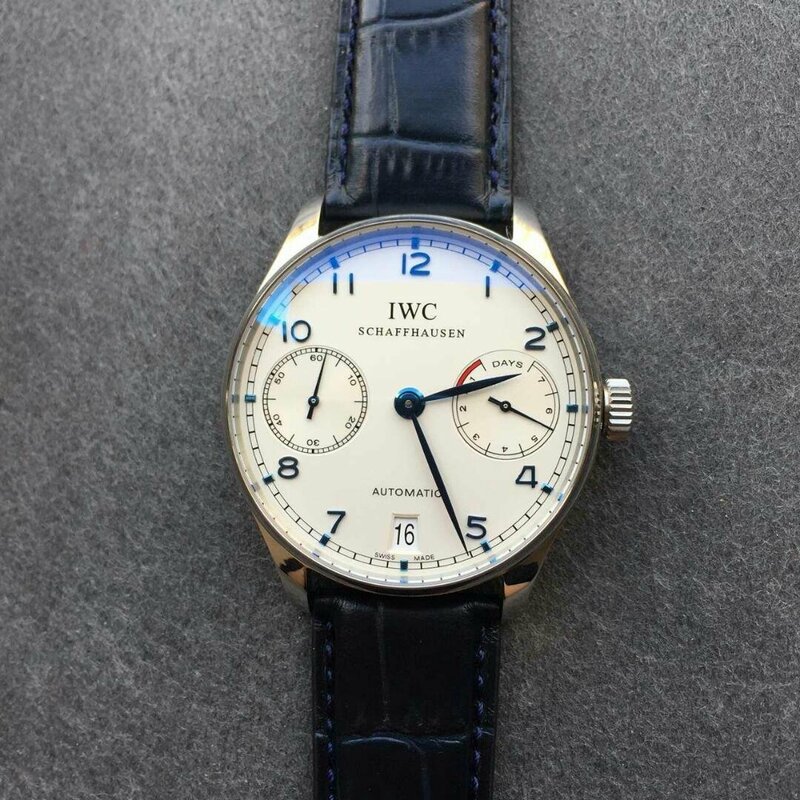 Ivory white dial features blue steel hands and hour markers, although these markers on the dial are not very large, they really look very elegant, the small dial at 9 o’clock is for display of small seconds, the corresponding 3:00 subdial is for display of power reserve, please remember the power reserve indicator on this replica is real, it is also indicating the remaining energy of the watch. 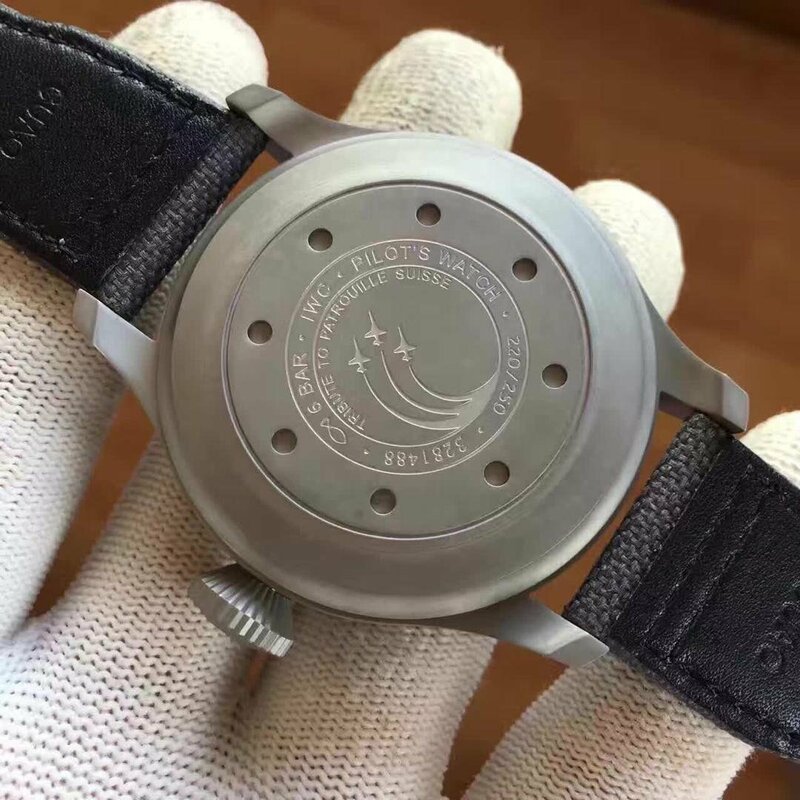 The factory said the replica can continuously work for 120 hours without winding, that is 5 days. 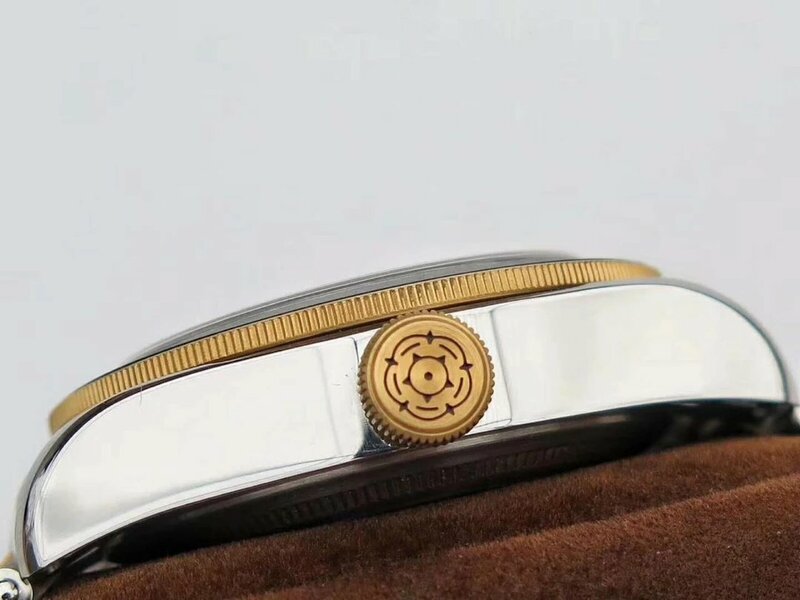 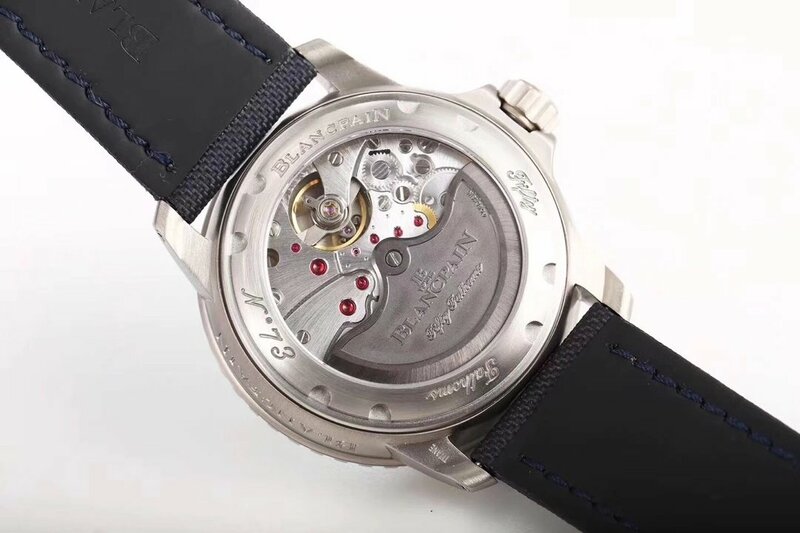 You can also see the movement, it is a super clone 51011 calibre that is 1:1 replicated from genuine movement, with every movement plate and decoration the same as genuine, the clone 51011 has the same quality level as super clone 3135 used on Rolex replicas. 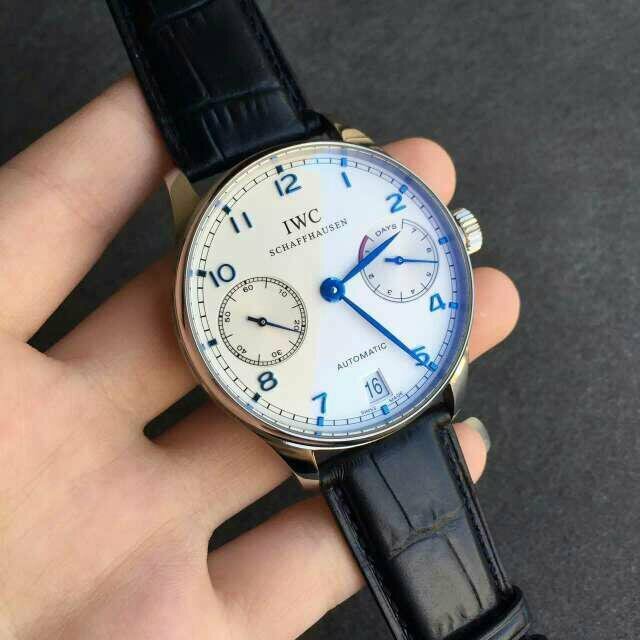 It is the dress watch which I am mostly in love with, because its dial is big enough and very good for the wearer to read time clearly, the blue hands and markers are also very beautiful, this common IWC watch offers you any necessary functions which a formal watch should have, genuine calf leather strap is also very comfortable to wear.